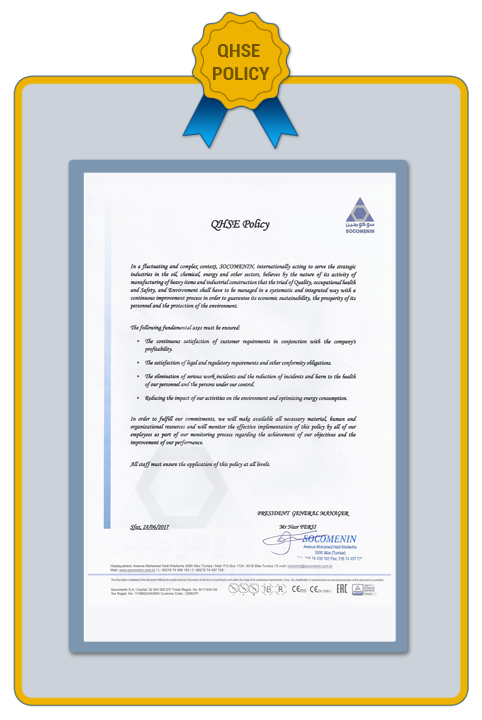 SOCOMENIN has very strictly ensured that only conform products are delivered to its customers. SOCOMENIN’s Quality Department performs in-house inspection and testing of all products along the manufacturing processes starting from the reception of raw materials up to the ﬁnished product. 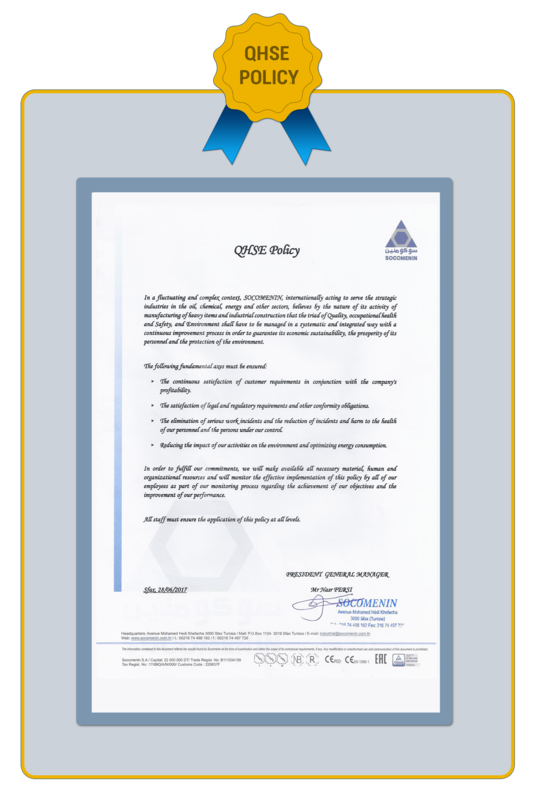 SOCOMENIN considers that each order is a speciﬁc project for which a Quality inspector team is assigned and a Quality plan is systematically iprepared. 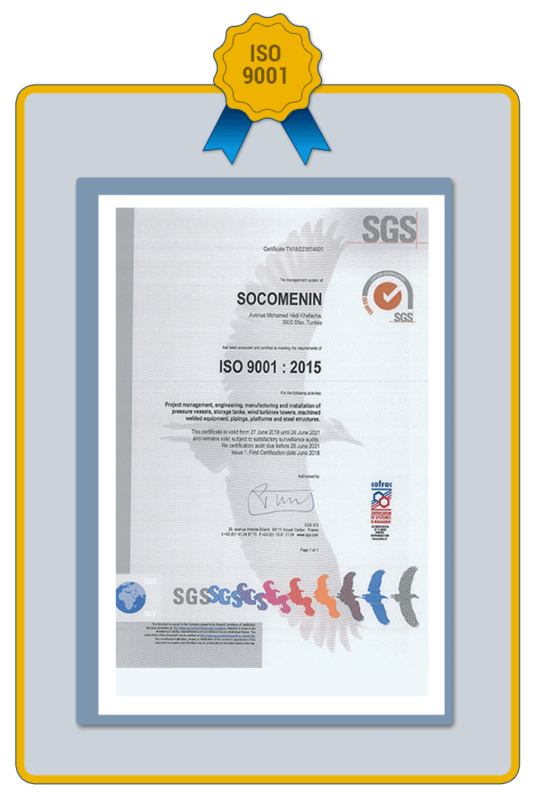 SOCOMENIN has established, applies and is conti- nually improving a Quality Management System as per ISO 9001:2008. The Quality System scope covers all the activities which include project management, engineering, manufacturing and pressure vessels installation , storage tanks, wind towers, machine-welded items, piping and steel structure, turnkey industrial project realization and so on. 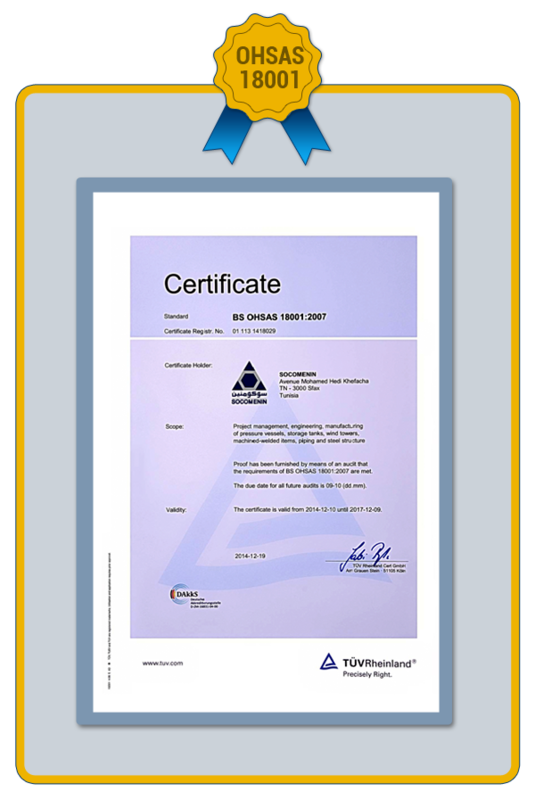 Our Factory Production is certified according to ISO 3834-2:2005 ensuring the quality requirements for fusion welding for all metallic materials products manufactured in our workshops and also at field construction sites. 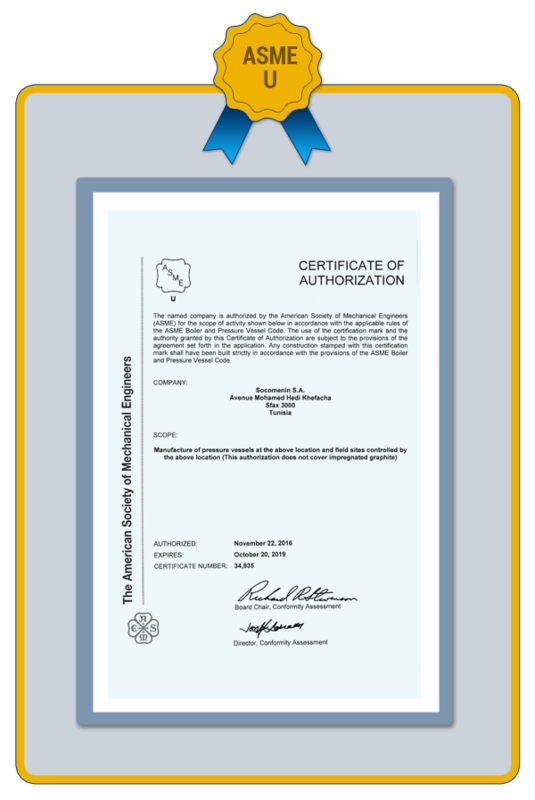 In order to build and sustain the mutual trust with its customers, SOCOMENIN has implemented Quality Systems that focus on its technical products conformity to the International Standards. 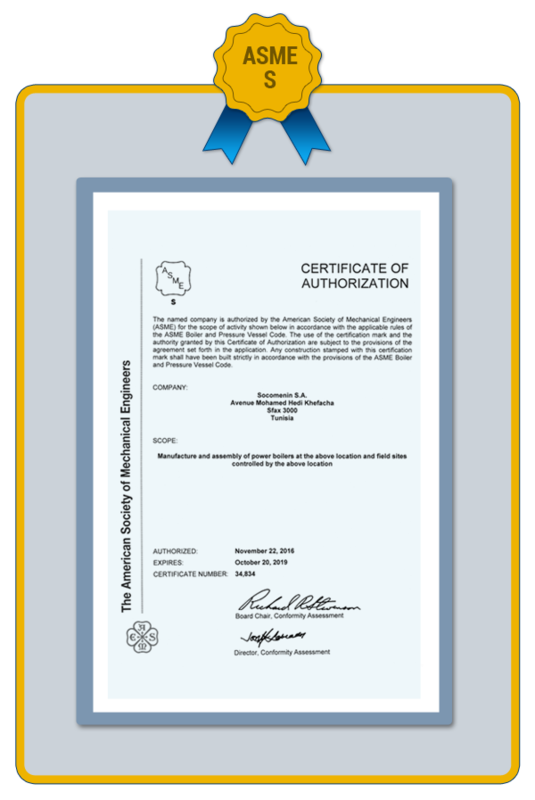 In fact, SCOMENIN holds ASME BPV “U”, “U2”, “S” and “R” stamps and is certiﬁed to supply CE marked pressure vessels according to PED. 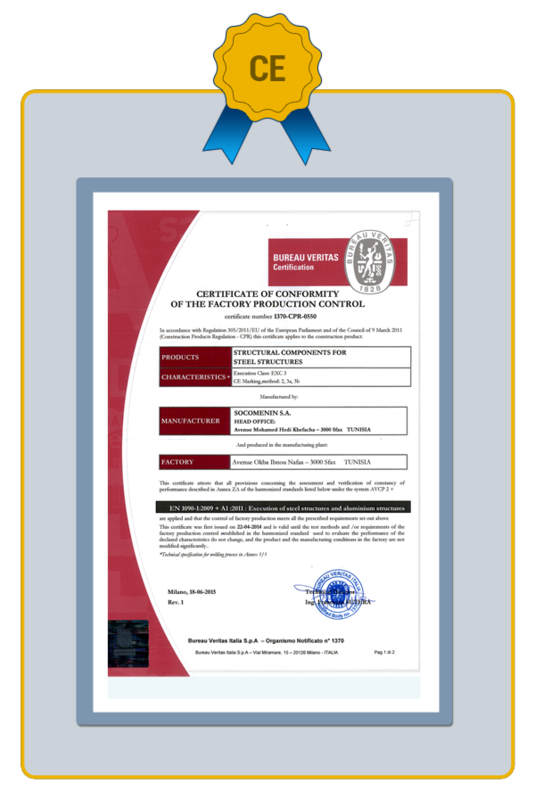 Our Factory Production Control System is certified according to EN1090-1 and as per the CPR regulation 305/2011/EU ensuring that steel structure components which we’re manufacturing are designed, fabricated and examined in compliance with appropriate harmonized standards or client specification, are conform to the declared performance characteristics and are CE marked before delivery. 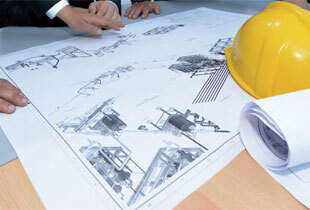 -Maintain safe and healthy working conditions.